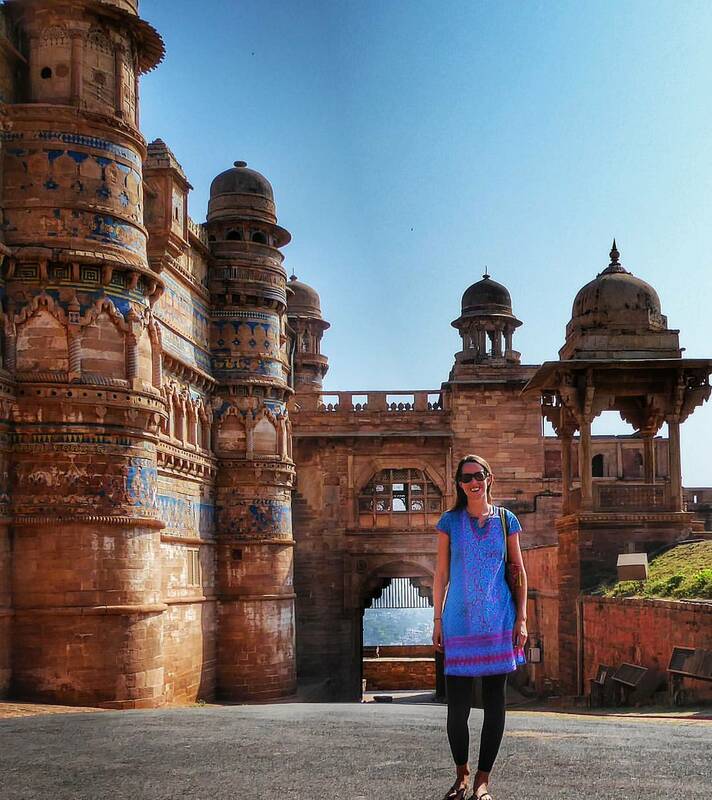 Tips for a solo female travel in India - Is it safe? What to consider? When you travel across India alone as a woman, keep in mind India is predominantly conservative and to a certain extent, patriarchal. Prepare yourself for an undue amount of attention, especially in heavily populated areas. Take some extra security measures to keep yourself safe. However, this doesn’t mean solo female travel in India is impossible or not worth it. We think if you let the existing moral standards in places like India stop you from travelling, it’s only going to continue. For every woman travelling, the world becomes safer for other female travellers and also for local women. Educate yourself on the customs of the country, be prepared, and unafraid to venture on your own. Don’t expect the worst just because the media told you so. If you’ve already decided to go to India, let us help you travel your way and we’ll sort out all the hassle for you! India can give you so much so don’t miss out because of fear. How are solo female travellers across India perceived? There’s definitely a skewed perception of foreign women alone in India. Men are likely to strike up conversation with you assuming that due to being a white woman, you’ll have no issues talking to strangers. Indian women often react quite shyly when encountering foreigners. Nevertheless, young men are seeking to have a conversation or even more with you. But we don’t want to generalise. Like every country, there are good and bad people and examples and there’s no reason to stop making friends. Be firm and wary. Always be on your guard and don’t accept offers of food, drink or travel to an unknown location. What can you do when you face an uncomfortable situation or even harassment? Just like any other woman in India, you will be subjected to unwanted stares and comments, catcalls and lewd gestures. Try not to engage them. Simply say no firmly and walk away. Sometimes, trying to get the pursuer to shut up can be worse, a scenario women all over the world face. Inform the nearest authority if the person won’t stop. The accommodation you’re staying at can help you as well. Remember, Indian women have spent years refining this technique so you can trust us. Having said all of the above, there’s no need to panic or worry to the point of paranoia. Most Indians are very friendly and will go out of their way to help you. Indian families are extremely hospitable and welcoming. The most important thing is to be aware of your surroundings and to trust your instinct. 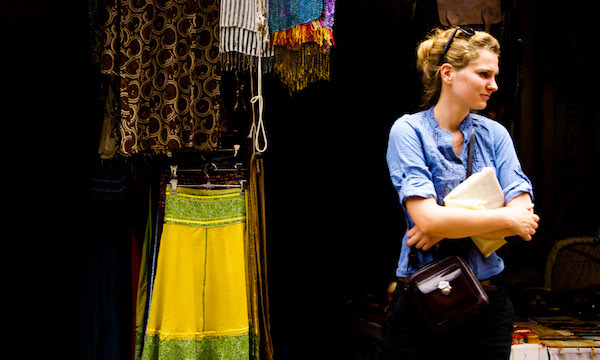 What can you do to travel safe as a female traveler in India? 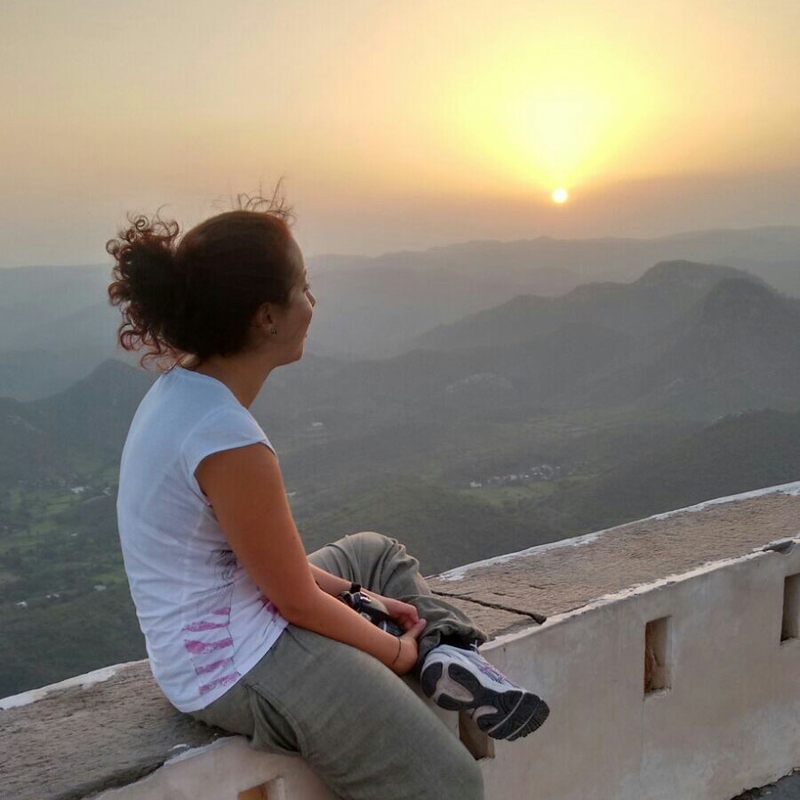 The purpose of this article is not to put you in a state of anxiety, but to prepare you for your solo female travel in India. Prior to your trip, do read about India and try to understand Indian culture, traditions and customs. There are several blogs and websites that provide you with information and tips if you’re travelling solo in India, exactly like this one. Cities like Mumbai, Delhi and Goa are comparatively open but nevertheless, we would suggest you try to dress modestly. Always look at the way the local women dress, and base your outfit on that. Avoid plunging necklines, shorts, miniskirts and body-hugging clothes. We suggest light and loose long pants, long skirts, dresses and shirts. Sleeveless shirts are mostly fine but avoid tank tops with low cleavages. We also discuss what to pack and how to dress in India in our ‘India Get Ready’-Guide. 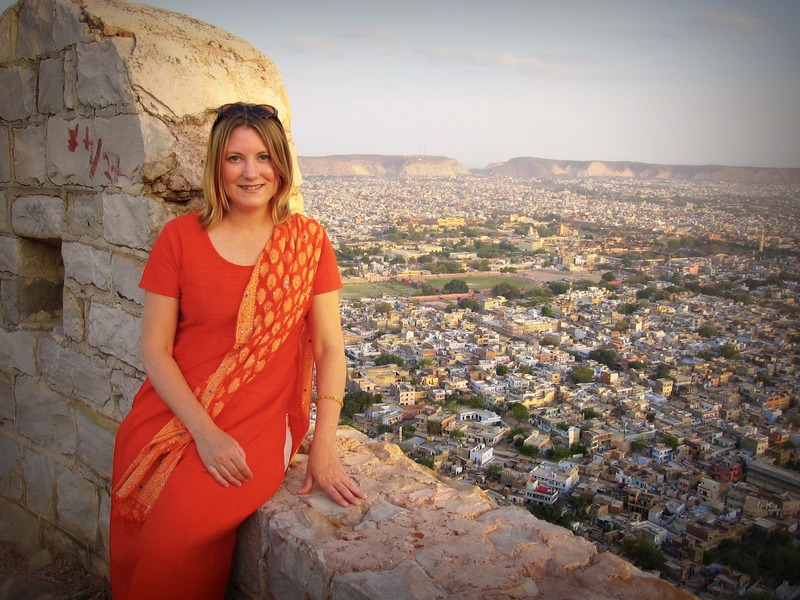 Anna from the travel blog Global Gallivanting loved to wear the typical Indian Salwar Kameez. Many women who have travelled to India say that wearing local outfits like a salwar kameez reduces the unwanted male attention to a great extent, especially if you are travelling to rural areas. A salwaar kameez is a common outfit worn in most parts of India by women. The salwaar is a baggy bottom that is worn like pants and the kameez or kurta is a loose top. This outfit is usually accompanied with a dupatta, which is a long multi-purpose scarf. The outfit is not only attractive, but also very comfortable and available in many colours and patterns. Wherever you are in India, it’s easy to get it tailor-made for less than INR 300. Big cities will have brands such as Fabindia, Global Desi and Westside that all have great collections. An added benefit: the salwar kameez is great for hot weather. Make sure when you shop you choose light cotton, or light material that breathes easy. Another important thing to note is that in spite of having such an enormous coastline, India doesn’t really have a beach culture (except Goa and popular tourist beaches in Kerala). It’s extremely rare to find Indian women swimming on beaches wearing a swimsuit. 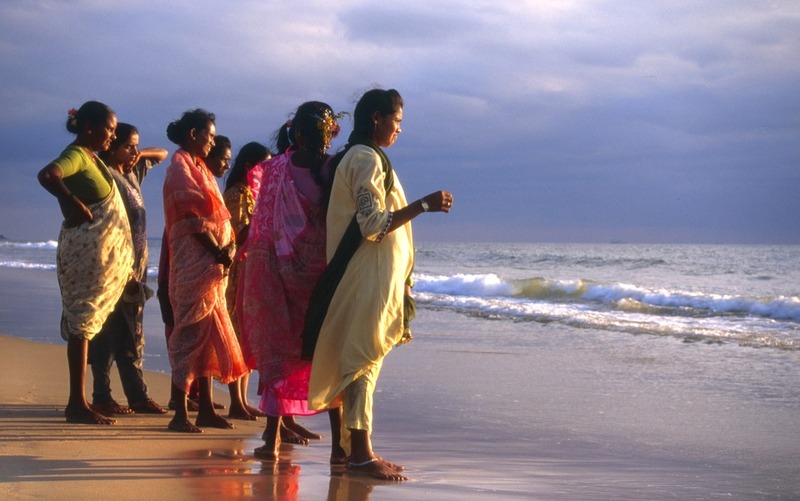 Most of the time they get into the water completely dressed in a saree or salwaar kameez and they don’t even swim. Most of the time, they just dip their feet into water. We advise you not to venture alone out to isolated beaches and swim wearing bikinis or bathing suits. When you choose to go for a swim, try going where you can see other tourists swimming. It’s much safer to go in groups. Don’t be surprised if you see people secretly clicking photos on their mobiles. Of course, feel free to inform a nearby police if you see this happening. Swimming in a big T-shirt and tights or knee log shorts is a good back-up option, especially if outside Goa and Kerala. Avoid travelling without reservations. It’s better to book the three tier AC compartment rather than the general non-AC compartment for an overnight journey by train. When you book train tickets try to get the upper berth, as it will give you more privacy. Check here for all the different classes of trains you can take. When it comes to buses, avoid the double sleeper bus tickets that some private bus companies sell. What they fail to tell you is that the double sleeper bus actually has a narrow double sleeper berth, without any separation, for two people to share. Try and book one reserved for women. In most larger cities, you’ll find several private taxi services such as Meru cabs, Mega cab, Gold cab, etc. You can call these if you have to get to the airport late at night or reach some place in the early hours. Uber is now available in the majority of the tourist and non-tourist cities in India, and the local Ola is also available. Both Uber and Ola are extremely good bets for car transport. Accommodations can also book safe transfers for you. Make sure no one is in the car apart from you and the driver. Most train stations and airports have pre-paid service available around-the-clock. In Delhi, however, they are famous for tourist scams (for both genders!). Nowadays, there are also women driving services like the ‘Women on Wheels’ project run by an NGO for women empowerment. If you plan your trip with us, we’d always arrange your pick-ups at every destination through hotels with trustworthy drivers. Most local trains and metros have their own ‘Ladies Compartment’, which only admits women. Also, most stations have ‘Ladies queues’ to get tickets. All local buses have seats reserved for girls. In case of a long distance journey by train, if there’s a delay there are waiting rooms only for women where you can rest. It’s quite easy to meet fellow solo travellers in India at hostels/hotels and join forces for some part of your journey. In case you end up travelling with a foreign man, most Indian men would assume that you both are a couple and leave you alone. Meeting other travellers on the road is a great way to make friends, and to get great pictures taken! Don’t venture alone at night or roam around dark alleys by yourself. Don’t accept food and drinks from strangers, even if they eat some before you. This applies everywhere in India and the world. Indian men can be persistent. It’s better if you ignore and avoid staring back at those staring at you. They could consider it as a sign of interest. Don’t be afraid to attract the attention of a policeman. While booking hotels, check the room beforehand. Also try making sure there are other foreign guests staying while you’re there. If we do your bookings, we can assure you we’ve actually visited and tried the accommodations we suggest. Do not smoke outside a temple or in rural villages, as this will immediately attract all sorts of unwanted attention. Always try to check the reputation of masseurs beforehand, either online or with your hotel. If you’re not sure whose opinion to trust, feel free to give us a call and we’ll give you some of our personal recommendations. If you are sick or have a gynaecological problem try to visit a female doctor. Always carry a book with you or an iPod. This could help in avoiding chit-chat with unwanted people. Finally, remember that most men will back off when they know you can raise your voice with a firm NO that puts them to shame. In case of any annoyance don’t encourage it. State clearly that you are not interested and leave. Also ask for help. Indian people are generally very helpful. If lost or unable to reach a place, alway ask for help or directions. Save the Indian Emergency number 112 in your phone, and also save our emergency number: Aaliya +919029789414. If you’re confused about whether you’re in danger or not, and not ready to call the police, call us instead, and we’ll help you out! India is filled with surprises and truly incredible so don’t let anything stop you! We have no doubt that your journey will be nothing less than amazing and memorable! Plan your trip with us to have a helpful travel partner on your side who provides extensive support and tips not just for your safety but also to ensure you will have an amazing time during your solo female travel in India.